Fly to Perth today. You will be personally met at the airport by a DISCOVER AUSTRALIA representative and transferred from the airport to your hotel. Perth is a vibrant and cosmopolitan city with a wealth of interesting and exciting attractions, the city is alive with lively bars, cafes and restaurants, there are great shopping, historic and cultural opportunities, Perth is blessed with an abundance of stunning natural surrounds including beautiful white sand beaches and the shimmering Indian Ocean. Busselton is one of Western Australia's favourite getaways, the town is famous for its 1.8 km jetty and is the gateway to the sensational Margaret River wine region, the vibrant main street is home to a cosmopolitan vibe with lively outdoor restaurants, cafes and pubs, great beaches and calm waters make Busselton perfect for fishing, swimming and snorkelling. Margaret River is famous for its sensational wineries which produce world-class wines, the region also produces incredible fresh produce and delicacies ranging from delicious truffles to mouth watering crayfish, the region is blessed with an abundance of natural beauty including rugged coastline, great beaches, green rolling hills and towering forests. Mammoth Cave is a giant limestone cave 21 km south of the town of Margaret River in Western Australia, this atmospheric cave features stalactites, stalagmites and extinct animal fossils, walk through the majestic chambers of the cave along elevated boardwalks and platforms and listen to the informative 'audio-tour' on the provided headset. Rottnest is Western Australia's very own island paradise, blessed with stunning scenery, white sand beaches, pristine swimming bays and sparkling turquoise waters, the wildlife here is diverse including the island's famous quokkas, bird-life and dolphins, cycle the many paths and trails that litter the island and climb Wandjemup Lighthouse for sensational views. 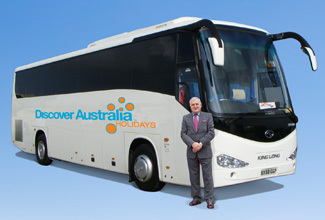 Breakfast, Morning Tea, Return Ferry, Luxury Coach Tour with Hotel Pick Up, Lunch Overnight Perth Accommodation. The beautiful Swan River is Perth's beating heart, it flows its way through the city creating a wonderful water playground, a place for people to meet, relax, have fun and enjoy, its banks are lined with picturesque picnic spots which offer jaw-dropping views of the city's modern skyline, boats gently bob on its waters and black swans make it their home. Breakfast, Swan River Cruise with Lunch, Overnight Perth Accommodation. You will be personally met at your hotel by a DISCOVER AUSTRALIA representative and transferred from your hotel to the airport for your flight home. Your special overnight Luxury Coach Touring includes most meals. The luxury vehicle has a personalised air-conditioning, a video system and an onboard toilet. You will be personally met at the airport by a DISCOVER AUSTRALIA representative and transferred from the airport to your hotel and from your hotel to the airport for your flight home. 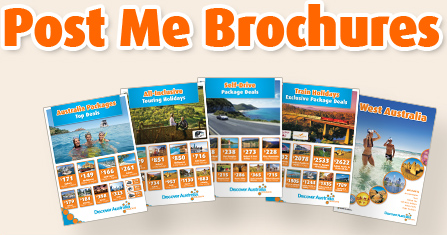 The Perth All-Inclusive with Margaret River Stay is very popular. Many dates book out well in advance, please book soon.